Search books, magazines, Reserve material, videos and more. Search by subject or keyword. Most books on Asian history will be located in the 900’s - primarily in the 950's. Vietnam - 959's. Additional atlases can be found in the Online Catalog including cultural and history atlases of specific areas of the world. The Oral History Collection contains the personal stories and military experiences of Wisconsin-connected veterans of World War I to the present day. Over 2000 interviews. Appr. 1/3 are fully transcribed. Appr. 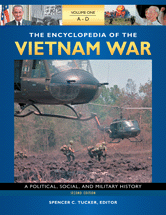 441 interviews with Vietnam veterans. Search Libraries worldwide for downloadable archival material. Read the descriptions which will help you choose an appropriate source. Some items may have date or other restrictions. Search holdings at Wisconsin Veterans Museum. "Archival Materials and "downloadable" in the "Format" menu on the side should be able to limit to items that are only found the WVM oral history collection. Select Downloadable archival material to limit to items that are available online. Once you click on a title, you can check the "Other libraries" field to see if a transcript is available online. Read the descriptions which will help you choose an appropriate source.